In a groundbreaking session at the United Nations on June 6, 2013 members of civil society and the UN Secretariat opened a very significant inquiry into fundamental questions of the desirability and possibilities of bringing an end to war. Some have posed this query in terms of whether there is a fundamental human right to peace. The United Nations, members of the global civil society, and scholars have engaged in a significant effort to articulate a human right to peace (See, for example, Alston 1980, Roche 2003, Weiss 2010), and the UN Human Rights Council has established an open-ended intergovernmental working group to draft a United Nations declaration on the right to peace (http://www.ohchr.org/EN/HRBodies/HRC/AdvisoryCommittee/Pages/RightToPeace.aspx).This brief essay is intended to launch that same discussion among peace educators. 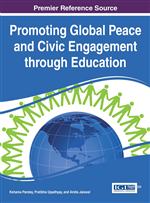 practitioners of peace education must begin to define and delimit the field: We need to reach some general agreement on its central concepts, educational goals, and preferred instructional approaches . . . The definitional problem (my emphasis) seems to be one of achieving conceptual clarity without closing off a continued open inquiry into what constitutes peace, how it can be achieved, and how we can educate students to work for it and to live in it as the normal state of human society(p. 11). One’s definition of peace, and hence one’s approach to peace education, is logically interconnected with one’s conception of political society, nationally and internationally (Brown, 1992; Doyle, 1997). Although it is generally recognized that justice is the normative core of peace, and although there are basic common elements of justice, on different levels of generality from personal to the local to the national to the international the nature of justice and hence peace are distinct. A full treatment of all these levels is beyond the scope of a single chapter. The focus of this chapter, therefore, will be international peace. The conceptualization of peace is in turn dependent upon our understanding of the nature of the international system. It is generally recognized that there are three dominant paradigms of international order: Realism, Internationalism, and Cosmopolitanism(Jackson, 2005; Nardin & Mapel, 1992; Wight, 1991). From the perspective of these paradigms of international order, there is a plurality of conceptions and means of achieving peace: the imperative of maintaining a balance of power, the imperative of an international llegal order of states, and the imperative of a cosmopolitan order grounded in human rights. Realism asserts an international moral skepticism: the belief that ethics has either dubious or little relevance to the action of states. It maintains that relations between nation-states are mainly political, in the sense that they concern interests and power, not what is right per se. This skepticism is based upon the three following understandings of the international arena: (1) the international arena is an anarchy, a condition wherein there exists no higher legal or moral authority than individual states; (2) that war is by its very nature unlimited; and (3) states act out of exclusive self-interest (with little, if any, moral concern for others). Thus, the core assumptions underlying the moral skepticism of Realism are anarchy, unlimited war, and the imperative of self-interest.